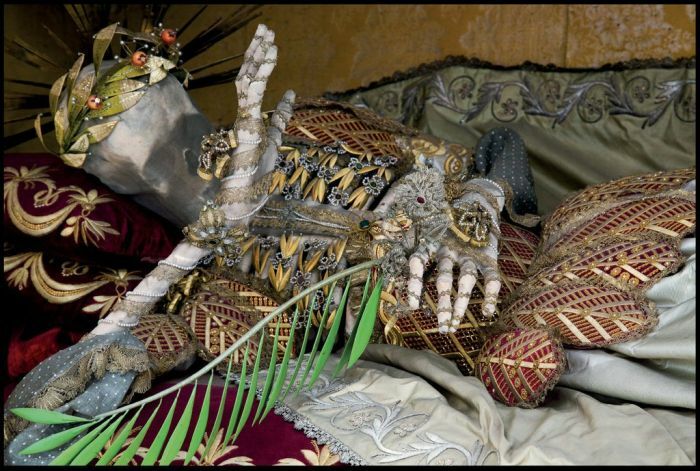 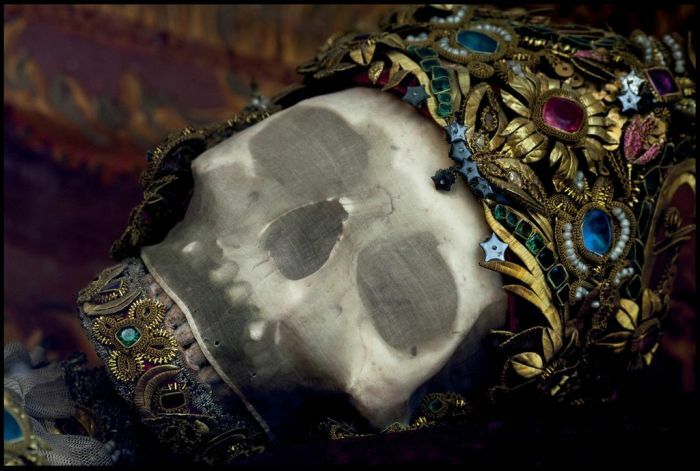 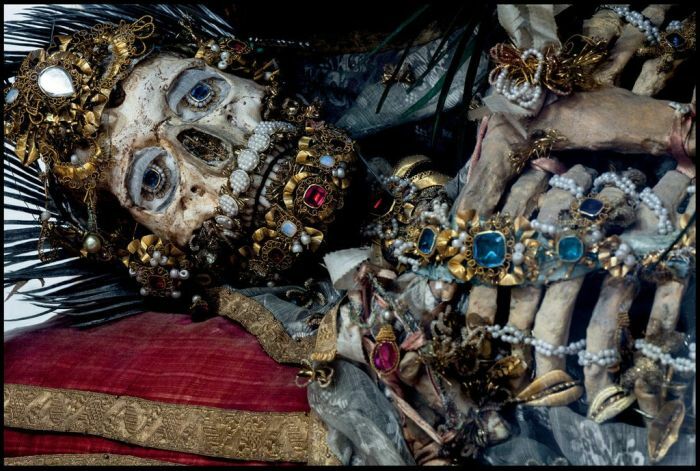 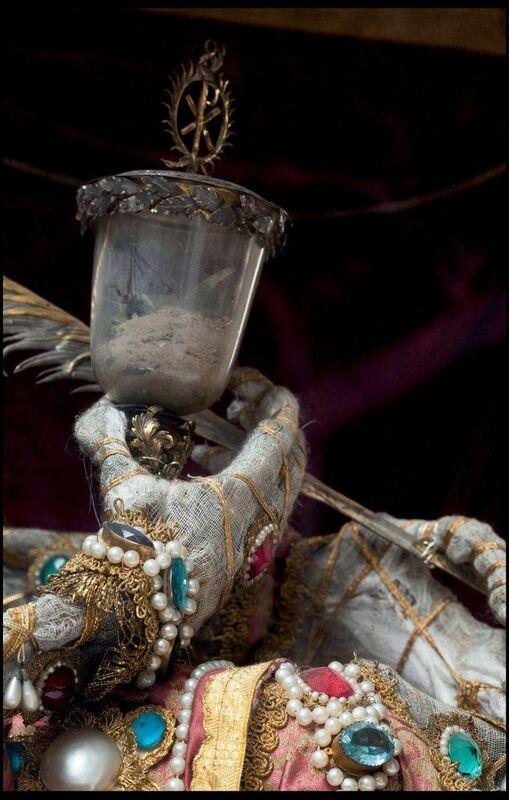 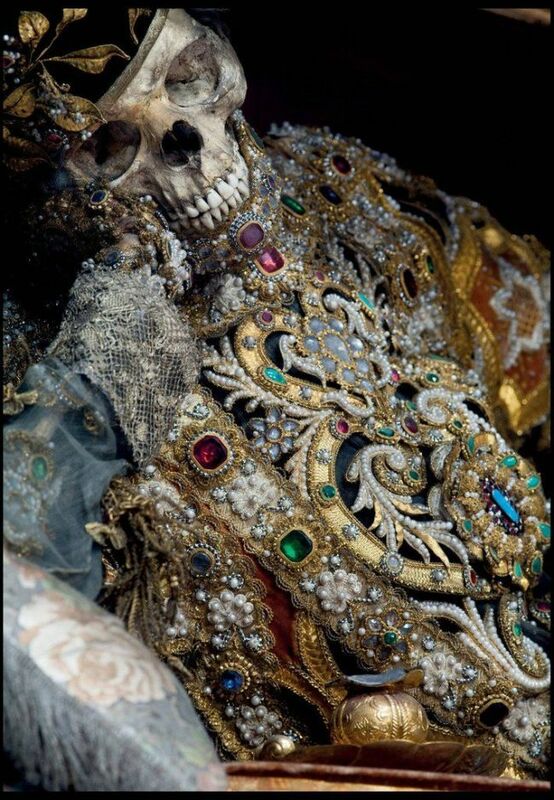 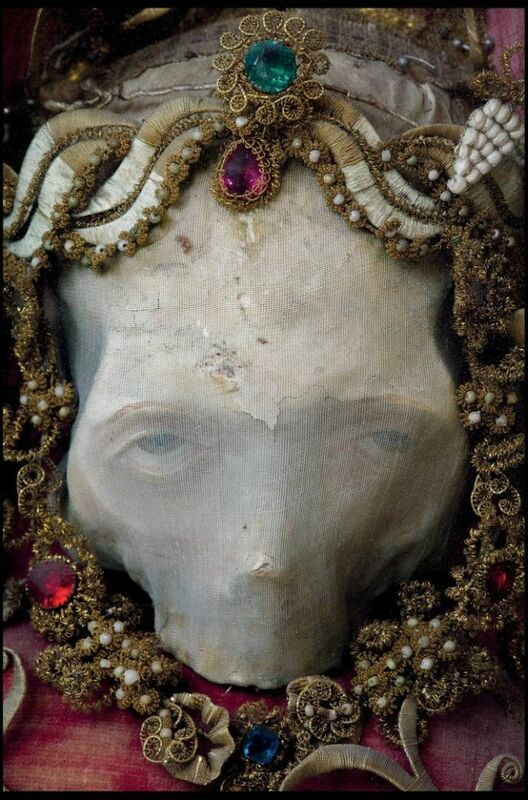 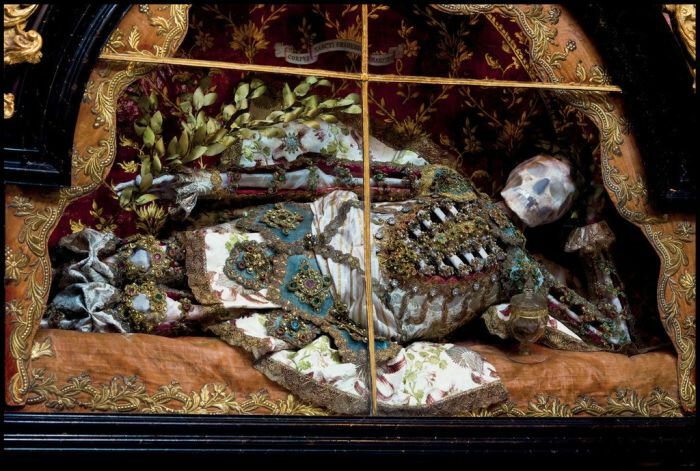 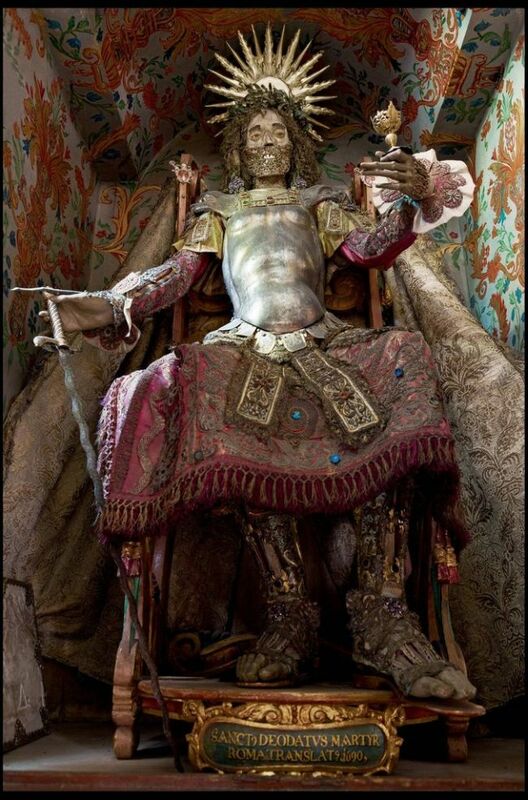 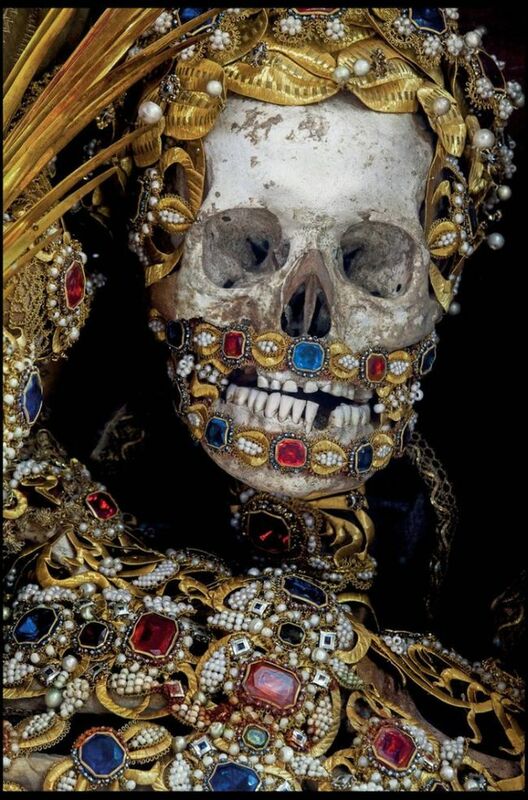 Art historian Paul Koudounaris hunted down these jewel encrusted skeletons in secret Catholic vaults. 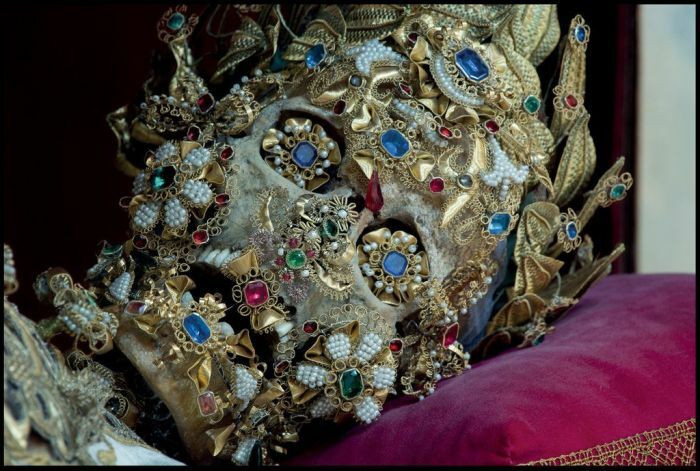 Those are the remains of Catholic martyrs dug up from Roman catacombs. 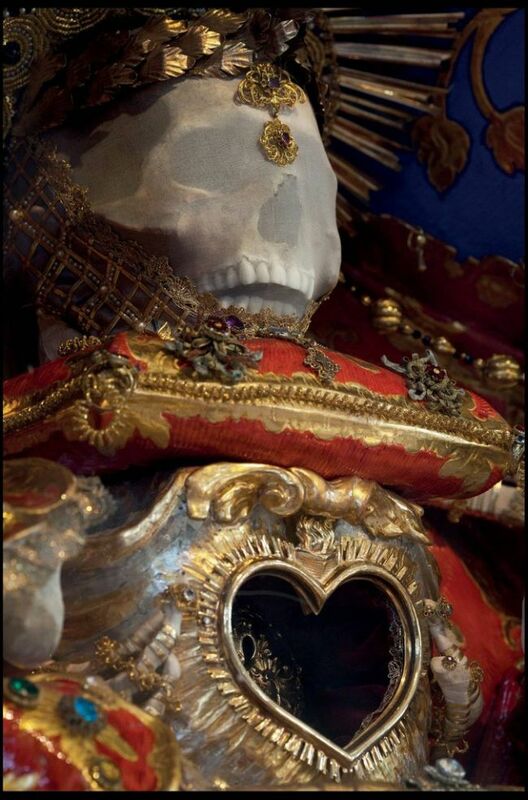 They were sent to churches across Europe to replace relics destroyed in Reformation. 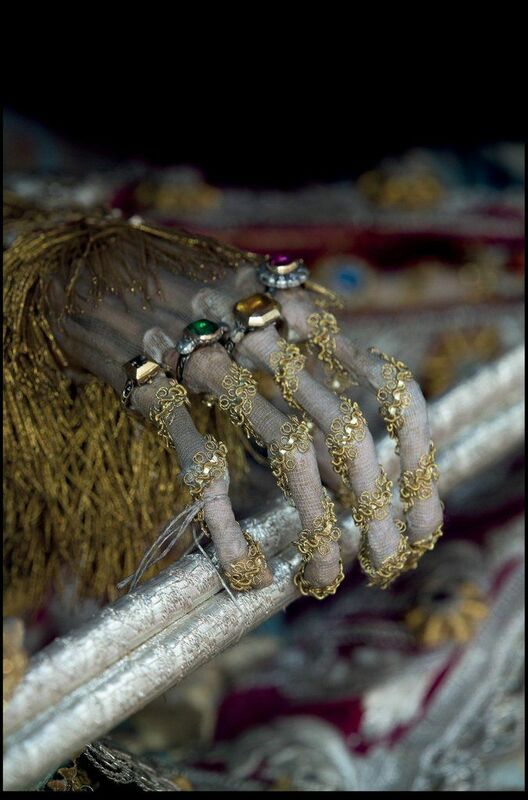 Some took up to five years to decorate in gold, silver and gemstones. 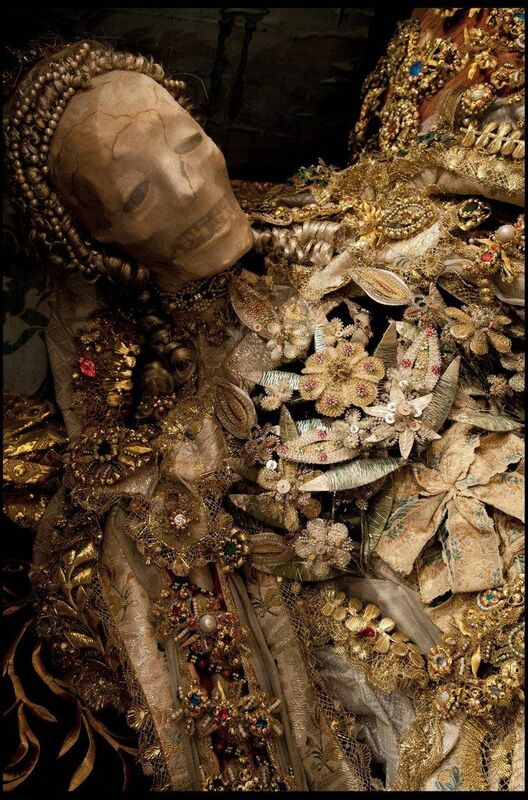 Several skeletons were even found hidden away in lock-ups and containers.